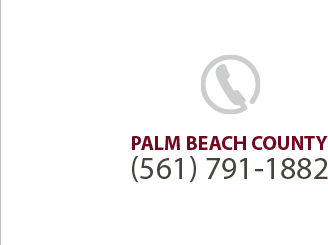 Ft. Pierce, Florida Criminal Defense AttorneySt. Lucie and Martin County Lawyer. I have defended several criminal cases in these counties in State and Federal Court. The popular crimes that I have defended in the Treasure Coast include: Operational grow houses for Marijuana as well as Methamphetamine trafficking, distribution and selling which is also a common charge north of Palm Beach County. Protect your Constitutional Rights, call attorney Steven M. Logan, if you have been arrested for a Felony or Misdemeanor. I not only represent those charged in State Court in Ft. Pierce, but also those facing Federal Charges in the new U.S. District Courthouse in Ft. Pierce. My Law Office serves Ft. Pierce St. Lucie County, Stuart, Martin County. We offer a free initial consultation. Contact my office at (561) 791-1882 or visit my website at loganlawyer.com Over 25 years’ experience in Criminal Law and Criminal Defense in South Florida. My Law Office also Practices Sports Entertainment Law, Animal Law-Pet Law. Fort Pierce, also spelled Ft. Pierce, is a city in St. Lucie County, Florida, USA. It is known as the Sunrise City. The population of over 40,000 persons. It is the county seat of St. Lucie County. Fort Pierce is part of the Port St. Lucie, Florida Metropolitan Statistical Area which have population of 400,121. Ft. Pierce is 66 miles North of West Palm Beach.